Mayweather recently said he was going to have a second fight with Manny Pacquiao. Perhaps the rematch is now on the back burner, however. Khabib would surely be an easier fight for Floyd than Pacquiao would be – at least on paper. 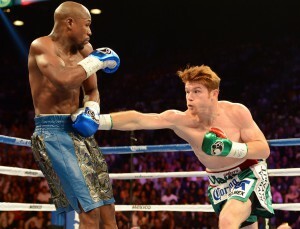 McGregor, who decided to have his first boxing match against the greatest fighter of a generation, at least had a reputation as a solid striker. That isn’t the case with Khabib, a deadly wrestler who wrapped himself like a snake around McGregor until the Irishman tapped out earlier this month. Mayweather, however, claims he can still make nine figures off a fight with Khabib.